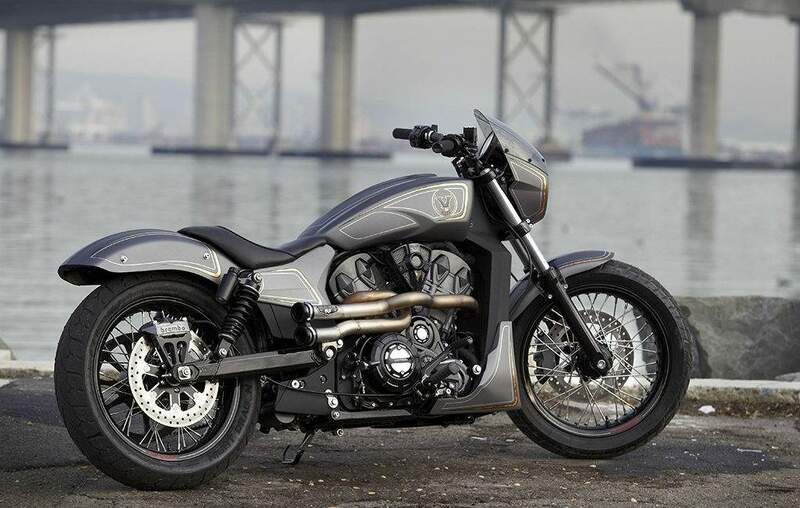 This concept, called ‘Combustion’, is powered by the new production engine that made its debut last month at EICMA in Milan, and was built by Zach Ness of Arlen Ness Motorcycles in Dublin, California. This Combustion Concept follows the reveal of the Ignition Concept at the EICMA show in Milan, which was built by Urs Erbacher of Switzerland. While Ignition is a European take on what kind of bike could be powered by the new engine, Combustion is the USA’s impression of what a new bike could potentially look like. Both the Ignition Concept and the Combustion Concept are built around the same engine that will power a new model to be revealed in 2016. The engine is a 1200cc liquid-cooled 60 degree V-Twin with four valves per cylinder. 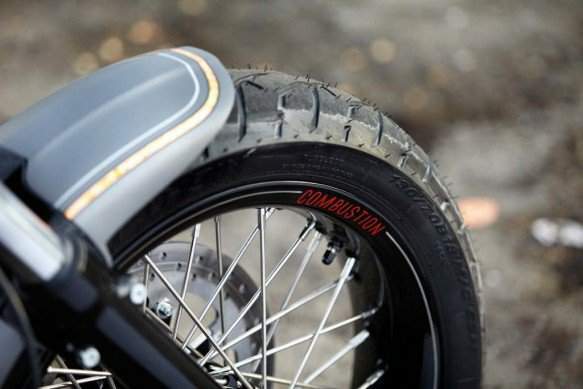 Zach Ness created Combustion as an answer to what an American muscle bike could be. He says that legendary American muscle cars with high horse power and low weight were his inspiration. 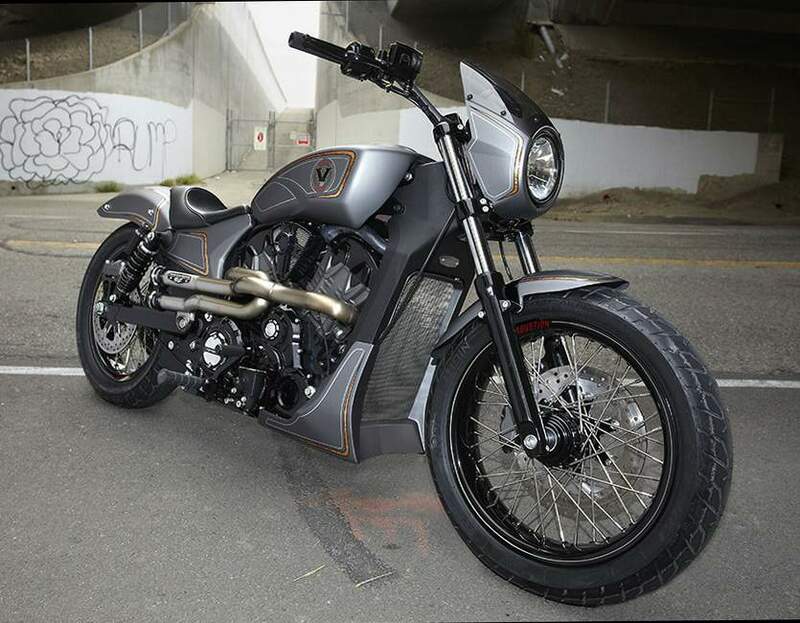 Born into custom motorcycle royalty, Zach Ness is the third generation of custom builders. 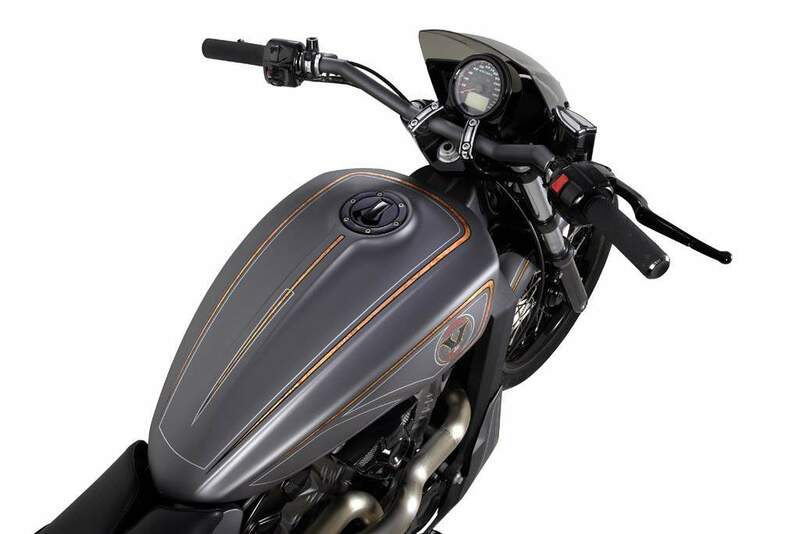 His grandfather Arlen, and Father Cory, established a relationship with Victory Motorcycles when Zach was only twelve, so the brand has been part of his entire adult life. 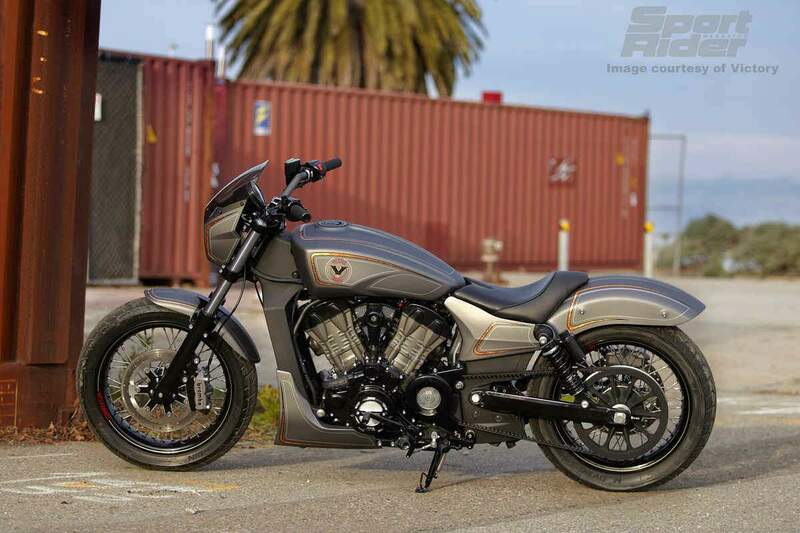 Surrounded every day by horsepower, style and innovation, Zach was the ideal builder to take on the challenge of creating the third concept around the new Victory Motorcycles engine (the first two concepts being Project 156 and Ignition). 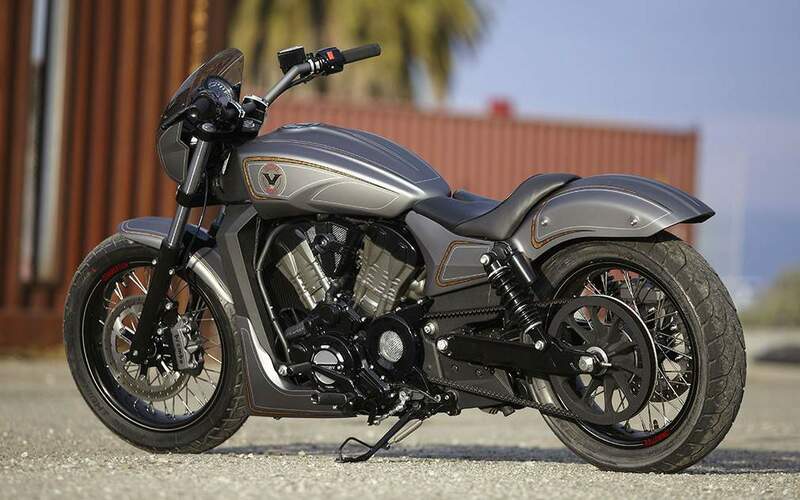 Ness worked with the Victory Motorcycles’ Industrial Design team, led by Michael Song, to create Combustion.